When you first turn on your Android phone or tablet you’re prompted to enter the details of your Google account. This will sync your Gmail, your calendar, your YouTube favourites, Play Store purchases and everything else connected to the account. Sometimes you need to add a second Gmail account. This tutorial will show you how. When you add another Google account it works in exactly the same way as your main one, syncing all the same information if you need it to. The info from your two (or more) accounts never gets combined, and you use them in entirely self contained ways, switching from one to the other and back again. It’s only really in the calendar app that you even see the data from more than one account together, and even then your entries remain tied only to the account you added them in. The other benefit of adding another Gmail account is that it enables you to delete the main one. In older versions of Android you had to do a factory reset to delete a Google account. That’s no longer the case. 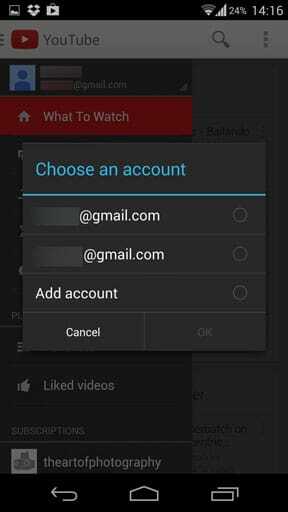 To begin adding your second Google account go to Settings > Accounts and tap Add account. The choose Google from the list. The Add a Google Account screen that appears next is the same on you saw when you first set up your phone. 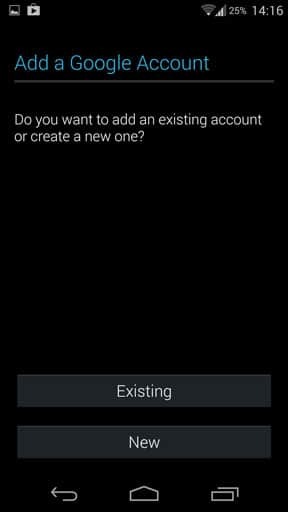 Choose Existing to add an account you’ve already got, or New to set up a new one. Work your way through the setup wizard, which includes entering your email and password and choosing which parts of your account you want to sync. When finished the account will begin syncing in all the apps you’ve chosen. Once your account is set up you’ll see it within all of the Google apps on your device. 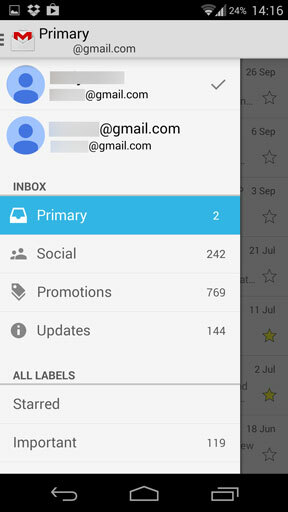 Open the Gmail app and slide open the sidebar by swiping in from the left edge of the screen. You should now see both your Gmail accounts listed at the top of the sidebar. Tap one to view the emails associated with that account. You can’t view mails from both accounts on screen at the same time. This principle is the same throughout the other Google apps. Open the Play Store app, slide open the sidebar then tap the drop-down arrownext to your account name. You’ll now see the name of your other account. Tapthis to switch. Apps you install are associated with the account that is active at the time. In YouTube the process is slightly different. Again open the sidebar and tap your account name. The Choose an account dialog box will open. Pick the one you want to use. Once you’ve got a new Google account set up on your phone you are able to remove the original one, should you wish to. Doing this will make the new account the default one on your phone. You won’t be able to remove that one without adding yet another—it’s not possible to leave your device without a Google account set up on it. Only a factory reset can do that. 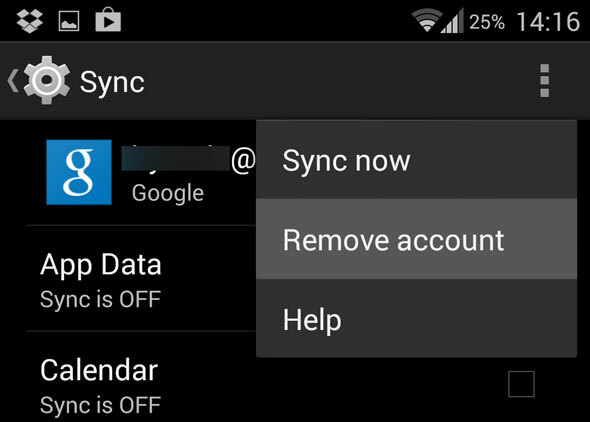 To delete your main Google account return to Settings > Accounts and this time tap on Google. Pick the account you want to remove then tap the Menu button and select Remove account from the options. The account will now be removed from the device. It doesn’t delete or close the account entirely (you need to do that through the desktop), and you can re-add it once again if you need to.